As auto accident attorneys, we’re seeing firsthand people being injured and killed in car wrecks caused by texting and distracted driving. We want to help protect and save these young lives. Texting and driving is the top killer of teens on the road, according to a study by the Cohen Children’s Medical Center. And Michigan Auto Law attorneys are enlisting help to stop it by sponsoring a new public safety campaign, “The 2016 Kelsey’s Law Scholarship: Stop Distracted Driving Contest." 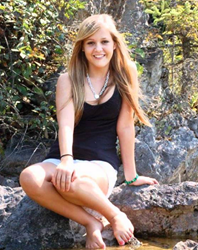 The scholarship contest is honor of Kelsey Raffaele, whose tragic death inspired Michigan’s teen driving law after she was killed in a 2010 car accident using her cell phone. Students who want to apply can visit Michiganautolaw.com/kelseys-law-scholarship/ for full details. In October 2016, at least $5,000 worth of scholarships will be awarded to four Michigan high school students. Applicants have one mission: To submit a persuasive safety message that shows how they would convince young drivers to reduce distractions while driving The safety message can be by video, Tweet or in graphic form. "The idea is to create something marvelous and creative to promote awareness of distracted driving for teenage drivers," said Steven M. Gursten, lead trial attorney and owner of the Farmington Hills-based Michigan Auto Law law firm. The contest is open to high school seniors and juniors in the class of 2016 attending any public or private Michigan high school. The deadline to submit entries is August 31, 2016. Gursten was moved by his own cases involving distracted driving, and by the story of Kelsey's tragic death that led her mother Bonnie Raffaele to push legislators to pass Michigan's first teen cell phone ban in 2013. Bonnie is now partnering with Michigan Auto Law attorneys in support of the scholarship contest. "Kelsey would be the first to tell kids, "Put the phone away! Don't make the same mistake I made that ended my life,"" said Bonnie, of Sault Saint Marie. "The Kelsey’s Law Scholarship a great opportunity to push the distracted driving safety issue to kids and parents. It has the potential to really save lives." Gursten said the law firm's goal is to help continue the process of educating teen drivers that Bonnie has started. "As auto accident attorneys, we’re seeing firsthand people being injured and killed in car wrecks caused by texting and distracted driving. We want to help protect and save these young lives." Gursten and Bonnie are available for comment. Winners will be announced during the week of October 16, 2016 to coincide with National Teen Driver Safety Week. Awards will be applied toward tuition at any university, college or technical school in the U.S. for higher education. Michigan’s teen cell phone ban: In 2013, Kelsey’s Law passed in Michigan, making it illegal for teen drivers to use cell phones. The law prohibits cell phone use by teen drivers with a Level 2 graduated license. This is when 16-year-olds can drive a motor vehicle without an adult in the state of Michigan. A teen driver who violates this law by using a cell phone would receive a civil infraction. About Michigan Auto Law: Michigan Auto Law has 17 lawyers exclusively litigating automobile accident and No Fault insurance cases throughout the state. The law firm has received a top-reported jury verdict or injury settlement for a car crash or truck accident victim for the past 17 consecutive years, according to published year-end compilations by Michigan Lawyers Weekly. 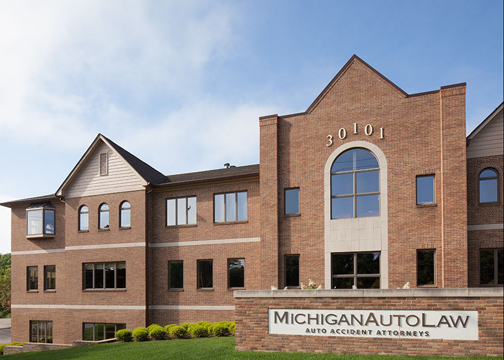 Michigan Auto Law has offices in Farmington Hills, Detroit, Sterling Heights, Grand Rapids and Ann Arbor. For more information, visit http://www.michiganautolaw.com or call (800) 777-0028. About Steven M. Gursten: Steven Gursten is recognized as one of the nation’s top attorneys litigating serious auto accident injury and wrongful death cases Steve is an active leader in many organizations, including President of the Motor Vehicle Trial Lawyers Association and Past Chair of the American Association for Justice Truck Accident Litigation Group. He has been named a Michigan Lawyers Weekly Lawyer of the Year. Steve is also listed in Best Lawyers in America and is named one of the Top 100 Lawyers in Michigan by Super Lawyers. He frequently lectures at legal seminars throughout the country on topics such as trial advocacy, Michigan No Fault law, traumatic brain injury and maximizing auto accident settlements.